Learn tips from a national communications firm about how to place your stories with local media and receive positive press coverage for your program. On Tuesday, September 25th, the Pennsylvania House Judiciary Committee is going to amend language on juvenile lifers into Senate Bill 850 (http://www.legis.state.pa.us/cfdocs/billinfo/billinfo.cfm?syear=2011&sind=0&body=S&type=B&BN=0850),a bill on cyberbullying. That amendment will leave life without parole as an option for kids convicted of first degree homicide, with an alternative sentence of 35-to-life for 15-17 year olds and 25-to-life for 14 and under. Life without parole should never be an option for kids with developing brains and the capacity for remorse and rehabilitation. The Pennsylvania Council of Churches is circulating a letter addressed to the PA general assembly urging a reconsideration of this practice. As the letter says, "the practice of condemning children to die in prison without any opportunity for a second chance ignores the potential that these young people have for genuine remorse and rehabilitation." of films to show. There is no charge for the films, but donations will be accepted. to passage of the Voting Rights Act of 1965.
to win one big union for all working people in the early part of the 20th century. This month's Legislative Briefing will take place Wednesday, September 12th from 11:00 am-Noon. The call in number is 866-740-1260 code: 2811137. It's federal budget season - or is it? The fiscal year ends September 30, but the likelihood is that Congress will pass yet one more Continuing Resolution to continue funding past the elections and into 2013. That gives us more time to weigh in with our Senators and Representatives to convince them of the need for funding for affordable homes, community development, and ending homelessness. and The Path to Prosperity ("Ryan Budget"). The KIDS COUNT Infographic Challenge is a crowdsourced competition for young people and adults to use KIDS COUNT data to illustrate the story of America's children. 1. Visit the KIDS COUNT Data Center and find national trends on topics like education, health and economic security, or data that offers insight into your state or community. 3. Upload your infographic (or video) to the Challenge platform. Then share it with your friends and family on Facebook, Twitter and Pinterest and ask them to vote for your entry. The Challenge launches on September 5, 2012 and voting will begin on October 1. So don't wait. Enter today. The KIDS COUNT Infographic Challenge. Show off your creative sparks and win! Every year, millions of Americans volunteer their time to feed those in need by holding food drives and serving holiday meals. What more can we do to fight hunger? You may have heard by now, if insurance companies spend more than 80% of your premium dollars on things like advertising, CEO bonuses, or lobbying against reform it must refund you the difference! It's all part of the new health care law and it's called the Medical Loss Ratio.The name comes from the terminology that the insurance companies use to refer to the money spent on medical care rather than profit. However, insurance companies, after failing to repeal the entire act, are working towards dissembling it piece by piece. Those interested in taking action can sign a petition to protect the medical loss ratio. It's back-to-school time and across the country, and parents are double checking their back-to-school supply list: Backpacks? Check. New crayons and pencils? Check. Notebooks? Check. Earned paid sick days? Not for nearly 40 million Americans. Wait, back up, earned sick days are a back-to-school essential? Absolutely! Let's face it: Kids share everything, especially germs, and especially in school. Moms and dads know this, and want to protect the health of all children. But when working parents are unable to earn paid sick days, they are faced with a difficult choice: Send their child to school sick or stay home with their child and risk losing a day's pay or possibly even their jobs. 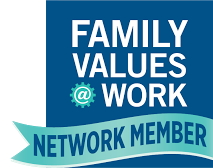 Tell your members of Congress "Welcome back from August Recess - Now, it's time to help us prepare for the new school year by passing the Healthy Families Act so that all working parents have access to earned paid sick days." New polling data (pdf) released today by the Food Research and Action Center (FRAC) show overwhelming majorities opposing SNAP cuts. The majorities are as strong as other polls in 2010 and early 2012, despite several intervening months of criticism of the program and false charges by conservative Members of Congress, conservative media outlets, and others. In particular, when asked "[t]his year, Congress will consider cutting billions of dollars from the food stamp program in an effort to reduce federal spending. Do you favor cutting food assistance to low-income families and seniors, or do you think that is the wrong way to reduce government spending," 75 percent say it is the wrong way to reduce spending. That number was 77 percent in January 2012 and 71 percent in November 2010. As the deadline approaches for Pennsylvania to make a decision regarding its Essential Health Benefits (EHB), Maternity Care Coalition, the Pennsylvania Health Access Network, and the Pennsylvania Community Providers Association are leading a workgroup to ensure an open, accountable, and consumer-responsive EHB selection process. Last week, the EHB workgroup convened nearly 40 organizations for a strategy call to discuss the implementation of the EHB package in Pennsylvania. As an outcome of that meeting, the workgroup defined the principles found here. If your organization would like to endorse these EHB principles, please send an email to ecusack@maternitycarecoalition.org or akraus@pahealthaccess.org of PHAN by Friday, September 7th to sign on. For National Prostate Health Month, Crozer-Keystone Health Systems will offer free prostate screenings in Delaware County. families in the Greater Philadelphia Region. 610-543-5022 x205. Tickets may be purchased online at http://pathways.ticketleap.com. Last year, National Disability Institute, with the support of Acorda Therapeutics, presented a free four-part Financial Wellness webinar series for individuals living with Multiple Sclerosis (MS). This year, they've partnered with Acorda Therapeutics again to bring you another great Financial Wellness webinar series. National Disability Institute's Financial Wellness Series sponsored by Acorda Therapeutics is a FREE 6-part series that will address financial, tax and public benefits topics for people living with multiple sclerosis (MS), their families and care teams. The webinar series will include six free 90-minute programs online, each beginning at 3pm ET on select Wednesdays through December 2012. Visit www.realeconomicimpact.org/financialwellness to learn more about each webinar and to register today! The United Way of Greater Philadelphia and Southern New Jersey is excited about the 2012-2013 school year and they want to partner with YOUR school! The United Way knows that a large predictor of students’ success in academia is their ability to read and interpret information. Research shows that one of the most important factors in whether or not children learn to read is having consistent opportunities to practice with a caring adult. That’s why they are looking for one-on-one tutoring opportunities in schools throughout the region. United Way may be able to support these opportunities by providing volunteers and other resources. The United Way recognizes that the budget cuts to our education infrastructure have been devastating to our schools so now, more than ever, they are stepping up to improve the lives and education of our communities—but they can’t do it without you! Would you like a master's degree student at the Harvard Kennedy School (HKS) to analyze a key issue for your organization and to make recommendations for how to address that issue as well? The House Appropriations Subcommittee on HHS funding marked up its fiscal year (FY) 2013 funding legislation on Wednesday, July 18. While they released some preliminary details of the legislation, details on the FY 2013 funding level for the Runaway and Homeless Youth Act program have not yet been released. To support advocacy for Runaway and Homeless Youth Act 2012 appropriations, National Safe Place is hosting a free webinar: Advocacy in Action, on Thursday, September 6th, 2 pm Eastern, 1 pm Central, 12 noon Mountain and 11 am Pacific. Learn the ABC’s of advocacy--this webinar will cover the basics of advocating for your agency and the clients that you serve. The facilitator will be Matthew Hamilton-Kraft, Director of Youth Services, Chautauqua Opportunities, Inc., Jamestown, NY. The new poverty, income, and health insurance Census data will be released on September 12, with more state and local data available on September 20. Has poverty risen to its highest level since the 1960's? (Many economists say yes.) Which parts of the country and which population groups have experienced the most poverty? Has the number of people without health insurance risen? The Coalition on Human Needs' annual training webinar can't tell you the answers before the data are released, but they can show you how the find national and state data quickly -- fast enough so you can make same-day comments to the press. And with enough context and background so you can apply the findings to policy choices now and in the coming months. Most middle-class Pennsylvania families have seen their wages and income stagnate since 2000 even though productivity in the economy has grown, according to the Keystone Research Center’s annual State of Working Pennsylvania report. Growth in the size of the overall economic pie could have supported rising living standards for all Pennsylvania workers, Keystone’s researchers wrote, but an outsized share of the benefits went to the top 1 percent of earners, preventing broad-based prosperity and slowing down the economic recovery. Neither the “lost decade” for working families since 2000 nor a recent increase in unemployment and the shortage of jobs in Pennsylvania occurred by accident. They were the result of poor policy choices that have been unfriendly to working families, the report concludes. Forty-eight years ago, President Lyndon Johnson signed the Food Stamp Act of 1964 into law, signaling the start of what we now know as food stamps. The law “[a]uthorized a food stamp program to permit low income households to receive ‘a greater share of the Nation's food abundance’.” Over the past 48 years, the program (which is now known as the Supplemental Nutrition Assistance Program or SNAP) has been a fundamental bulwark for the poorest and hungriest people in our nation. J-Roll Speaks Out Against Dating Violence - Will You? PathWays PA and Women Against Abuse are excited that famous role models and celebrities -- including Philadelphia's own Jimmy Rollins -- have joined President Barack Obama and Vice President Joe Biden to denounce dating violence. Watch them speak out against dating violence in this new public service announcement! This clip is part of Vice President Biden's 1 is 2 Many campaign. Get involved and spread the word! Members of Congress will face some big choices in the coming months. The upcoming round of negotiations will include decisions on: whether tax cuts for wealthy hosueholds will be allowed to expire; whether to halt across-the-board budget cuts scheduled to hit programs such as affordable housing and early childhood education in January; and whether to continue key expansions in the earned income and child tax credits that lifted 1.6 million people in working families out of poverty in 2011.